In one of his commencement talks as President of Princeton University, William G. Bowen called upon the assembled graduates to find ways, in their lives, to blend "the powers of the mind and the promptings of the heart. "This collection of his presidential writings--drawn from annual reports, opening exercises addresses, commencement remarks, and other speeches and essays--reflects a blend of analysis and advocacy that speaks both to public policy issues affecting all of American higher education and to the deeper meanings and values of Princeton.The writings selected for inclusion here represent roughly half of the total archive annotated in Appendix B. They range from brief extracts to complete documents, and they are organized under such topics as the university in society; purposes of education/liberal education; graduate education, scholarship, and research; faculty; diversity, opportunity, and financial aid; the economics of the private research university; and a final chapter titled simply "Reflections. "Throughout his fifteen-year tenure, President Bowen remained a teacher in the introductory economics course at Princeton, and his principal identification was always as a member of the faculty. His writings, as he saw them, were an extension of his teaching: an opportunity to communicate important ideas in ways that would sharpen his own understanding at the same time that they provoked others to think hard about the questions being raised. As such, his writings were a source of insight and illumination for many "students," of various descriptions, who listened, and read, and learned from what he had to say.Originally published in 1988.The Princeton Legacy Library uses the latest print-on-demand technology to again make available previously out-of-print books from the distinguished backlist of Princeton University Press. These paperback editions preserve the original texts of these important books while presenting them in durable paperback editions. The goal of the Princeton Legacy Library is to vastly increase access to the rich scholarly heritage found in the thousands of books published by Princeton University Press since its founding in 1905. 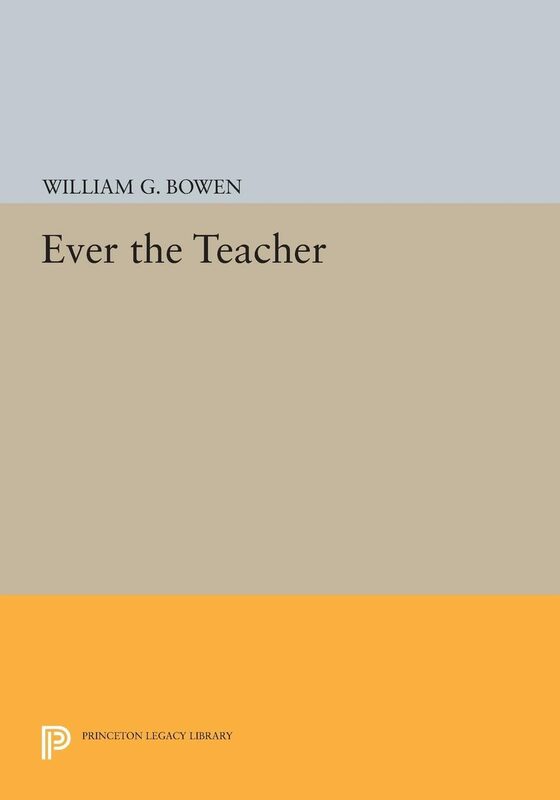 Otros ebooks de William G. Bowen.